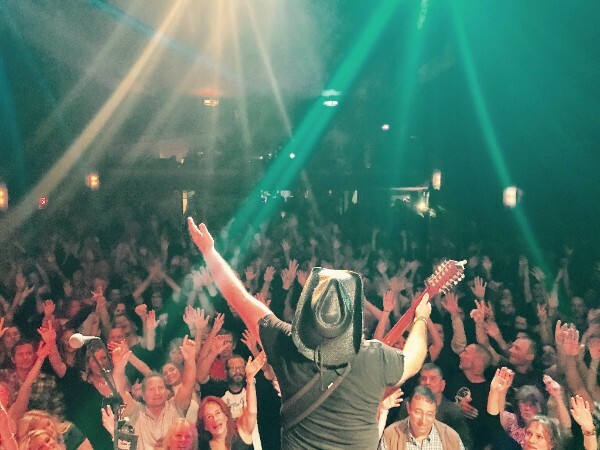 News: THANKSGIVING WEEKEND SHOWS: Slim’s & Empress Theatre + MORE! We just got back from an amazing weekend of debut shows in Colorado. It could not have gone better and we are humbled by the very warm welcome we received from the folks in Denver and Greeley. 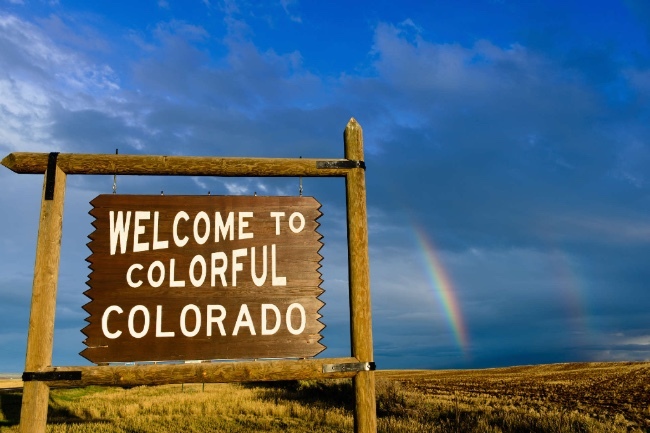 We look forward to going back in 2018, Colorado is Petty Country! We will gather this week with family and friends to enjoy the Thanksgiving Holiday. We give thanks to them and to all of you for all the support we get year after year and gives us the energy to do what we do. We also give thanks to TOM PETTY for creating this extraordinary legacy of music. His songs will live on forever and we will continue to celebrate them. The celebration continues this weekend with (2) BIG shows at two of the best venues in the Bay Area…. JOIN US! “BLACK” FRI, 11/24 at SLIM’s in San Francisco! A special post-Thanksgiving show in tribute to Tom Petty. No opener, all-Petty, all night by yours truly. SF shows are always some of our best and SLIM’s is a great venue to see us. Tickets are going fast and this show is likely to sell out so get your tickets NOW and join us for a night of celebration of the man and the music. SAT 11/25 at The Empress Theatre in Vallejo! We are back at this classic and beautifully restored venue in the East Bay for another full evening of music (2 sets). There is not a better setting to hear the music of Tom Petty. Join us for some post-thanksgiving holiday fun! SAT 12/9 at The Catalyst Club in Santa Cruz! We are finally back in Santa Cruz to make our debut at this historic venue where Tom Petty & The Heartbreakers played in 1977 on their very first tour. This will be the 40th Anniversary of that show and we intend to pay homage to it with a very special performance. Please tell your friends in the area and come join us for some rock-n-roll on the California Coast! WED 12/27 Crystal Bay Casino in Lake Tahoe! We had such a great show at our debut earlier this summer that they are bringing us back again for a Special Christmas week Holiday show. Want to get away to Tahoe for the Holidays? Well now you can come party with us too! Get your tickets NOW. SAT 12/29 McMenamins Mission Theater in Portland, OR. We are pleased to announce our return to Portland for our first headline show. Tickets are going fast and this show will be sold out well in advance! Come join us for some post Christmas and pre-NYE eve fun. Tell your friends in the Portland area to go check us out! SUN 12/31 NYE 2017 at Hopmonk Tavern in Novato! We are back again to celebrate and bring in the New Year in the best way possible at this great and intimate venue in Marin. Party Favors, Champagne, special house brew toast, along with 2 fabulous sets of Tom Petty classics awaits for those who will attend. This show will sell out in advance so getting your tickets as soon as possible is highly recommended! News: BIG Weekend: Colorado Shows & MORE!!! We continue to be blown away by the support you have given us and your love and respect for Tom Petty and the Heartbreakers. We really feel like we’re all coming together in memory of such an amazing artist and band. FRI 11/17 at The Ogden Theatre in Denver, CO. opening for Super Diamond! We are really excited for our Denver debut at this amazing venue with our good friends and their fantastic tribute to Neil Diamond. SAT 12/29 McMenamins Mission Theater in Portland, OR. We are pleased to announce our return to Portland for our first headline show. Tickets went on sale last week and it is already halfway to being sold out! Come join us for some post Christmas and pre-NYE eve fun. Tell your friends in the Portland area to go check us out! FRI 11/17 The Ogden Theatre Denver, CO. w/ Super Diamond! SAT 11/25 Empress Theatre Vallejo, CA. SAT 12/2 PowerHouse in Folsom, CA. SAT 12/9 The Catalyst Club Santa Cruz, CA. FRI 12/15 Black Oak Casino Resort Tuolumne, CA. SAT 12/31 HopMonk Tavern Novato NYE PARTY! SAT 1/13 Fremont Theater SLO San Luis Obispo, CA. 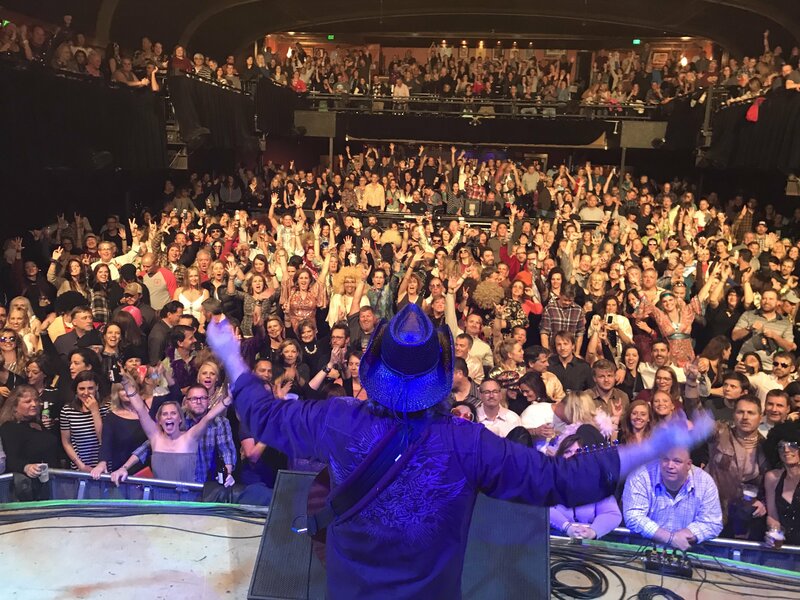 We’re back in the saddle after playing SOLD OUT shows these past two weekends at Club Fox in Redwood City and Mystic Theatre in Petaluma. The emotions have run high, but there has been so much positive energy and love at these shows that we have been truly inspired and uplifted. We thank all of you for the support and sharing the love of Tom Petty’s music with us. The show must go on and it continues with more shows through the end of the year. Some new dates have been recently added so we hope to see you all soon! THIS SAT 10/28 “Halloween Costume Party” at Harlow’s Nightclub. We’re back in Sacramento for a full evening featuring two sets of music. This is our first Halloween party up at Harlow’s and we’re excited to get freaky with everyone. The Halloween fun begins at Harlow’s with costume contests (Best Costume, Best TP Costume, and Best Costumed Couple categories) with great prizes, along with singing and dancing to all your favorite Petty classics. Come join the fun! Get your tickets NOW! FRI 11/17 at The Ogden Theatre in Denver, CO. opening for Super Diamond! We are looking forward to playing this great venue with our good friends and their amazing tribute to Neil Diamond. (NEW) SAT 11/18 at The Moxi Theater in Greenly, CO. This is a headline show at this cool venue just outside of Denver. FRI 11/24 at SLIM’s in San Francisco! This will be a special post-Thanksgiving show in tribute to Tom Petty. No opener, all-Petty, all night by yours truly. SF shows are always some of our best and SLIM’s is a great venue. Let’s DO this! Get your tickets now and join us for a night of celebration of the man and the music. SAT 11/25 at The Empress Theatre in Vallejo! We’re back at this classic and beautifully restored venue in the East Bay for another full evening of music (2 sets). Come join us for some post-thanksgiving holiday fun! We have taken the past few days to try and process the reality that Tom Petty is no longer with us. Obviously, this has hit us very hard as we have dedicated over a decade of our lives to performing his music. It feels like we lost a close friend. Many of you have reached out to us individually and collectively as a band expressing your concern, empathy and love. We are humbled by this and thank you all for your kind words. We’ve been asked if we are we doing anything to memorialize Tom Petty? The answer is YES. We have many upcoming shows scheduled through the end of the year and we will be doing what we have always done – share his music with you to the best of our ability. But now we do it to honor the man, his memory, and legacy. We invite you to join us in what we expect to be shows like we have never experienced before. We look forward to continuing to celebrate the life and music of the man we called “The Real Deal” with all of you.